Credit card processing fees aren’t as confusing as many would have you believe. These three easy steps will show you how to lower your credit card processing fees in no time. Imagine how easy it would be to negotiate low credit card processing rates if you knew what your processor paid for each transaction. Knowing that would allow you to negotiate your own rate at slightly higher than cost. Well, it turns out that your processor’s wholesale price list is just a click away. Interchange is a fancy word for what are essentially wholesale credit card processing rates. Interchange is charged by the banks that issue credit cards, and interchange rates are the same for every credit card processor. Take a moment to check out the interchange fee schedules for Visa and MasterCard by following these links: Visa Interchange, MasterCard Interchange. Now that you know interchange is credit card processing’s version of wholesale, your goal is to get the rate that your business pays for processing as close to interchange as possible. The way to do that is by making sure your business has the correct pricing model. Lowering your business’ processing costs means forgetting about rates for a moment. It certainly sounds counter intuitive, but when it comes to securing the absolute lowest processing costs, rates are not the most important factor. The pricing model on which rates are based has the greatest impact on cost. Credit card processors assess fees using two basic forms of pricing called interchange pass through or bundled. Bundled pricing is opaque and produces hefty profit margins through expensive mid-qualified and non-qualified surcharges. Interchange pass through pricing is transparent and relatively inexpensive because it completely eliminates surcharges. Businesses that switch from bundled pricing to interchange pass through can expect to instantly see savings of 20% or more. So stop hacking at branches by haggling with credit card processors over discount rates and attack the root of the problem by demanding interchange pass through pricing. Whether you are dealing with your business’ current credit card processor or you’re gathering new quotes, attempting to negotiate credit card processing fees on an individual basis is like herding cats. If you concentrate solely on the discount rate, the sales person will simply apply an annual fee. If you beat a sales person down on the statement fee, he will simply add a monthly minimum. The only way to ensure your rates and fees are competitive is to look at the big picture by considering all costs in aggregate. When comparing processors, add up all of the fees that your business would be charged in an average month and divide that number by gross sales. What you’re left with is something called the effective rate. For example, if your business processes $10,000 in credit card sales volume in an average month and processing fees are calculated at $250, the effective rate is 2.50% (250 / 10,000 = .0250). The effective rate is the only accurate singular measure of the competitiveness of credit card processing fees. By taking into account each rate and fee, you take away a processor’s ability to manipulate pricing. You don’t have to be an expert on credit card processing fees to substantially lower your costs. Simply follow these three steps by learning a little about interchange, demand interchange pass through pricing, and measure the effectiveness of your fees using the effective rate. Once the dust settles, a lot less of your hard-earned revenue will be going into your credit card processor’s pocket. Ben Dwyer is the founder and CEO of CardFellow.com. 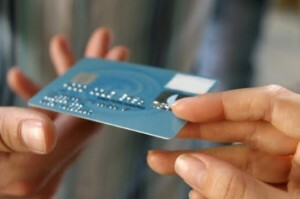 Compare credit card processing services in minutes and save 40% on credit card processing fees at CardFellow.com.